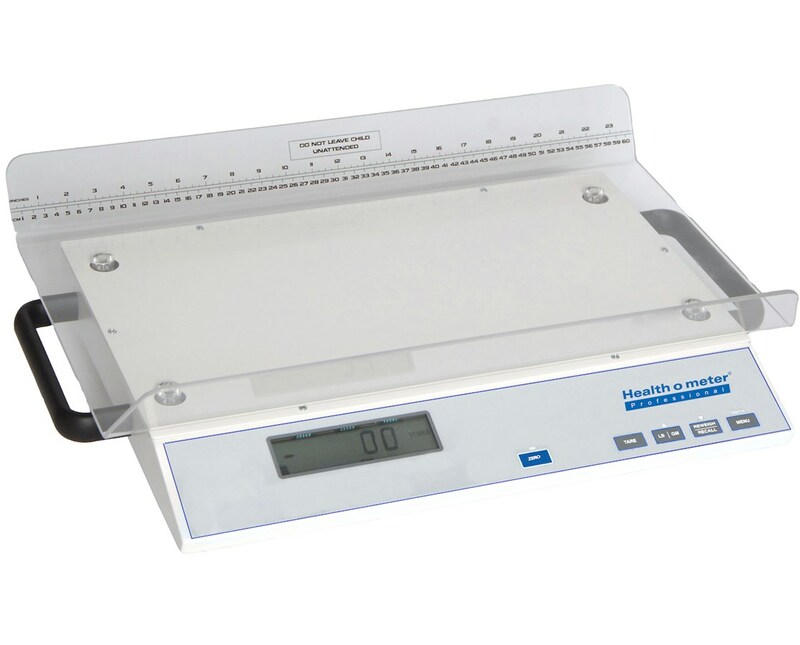 The 2210KL Health-o-meter Neonatal Digital Pediatric Scale is a highly durable and precise scale ideal for neonatal units and pediatric healthcare facilities. Heavy duty handles facilitate easy transportation for your convenience. This scale is equipped with Motion Sensing Detection to ensure that you receive the most accurate results, regardless of the baby's movements. The measuring tape will provide you with the opportunity to weigh and measure your patients simultaneously. The functions built-in with this scale are LB / GM Conversion, LB / GM lock Out, Zero Out/ Tare, Reweigh/ Recall, Auto Zero, and Auto off. This scale is equipped a large easy-to-clean plastic tray, accommodating all your sanitary needs. Six C-cell batteries are included with the scale. For easy transportation options, click on the Related Items tab and select your preference. 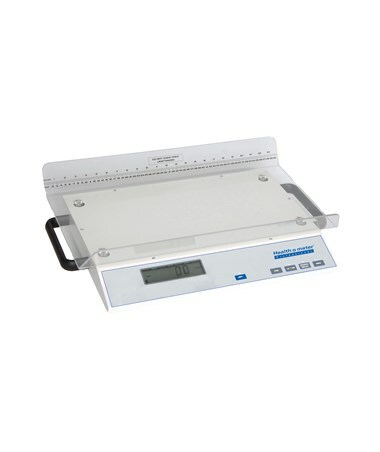 Whether purchased for a medical care facility, hospital, or traveling nurse, this scale is sure to provide many years of reliable and accurate service. A 2 year warranty ensures that any problems you encounter with this scale will be quickly and efficiently resolved. Tray 25.75" x 19.5" x 7"
Overall Measurements 25.75" x 19.5" x 7"